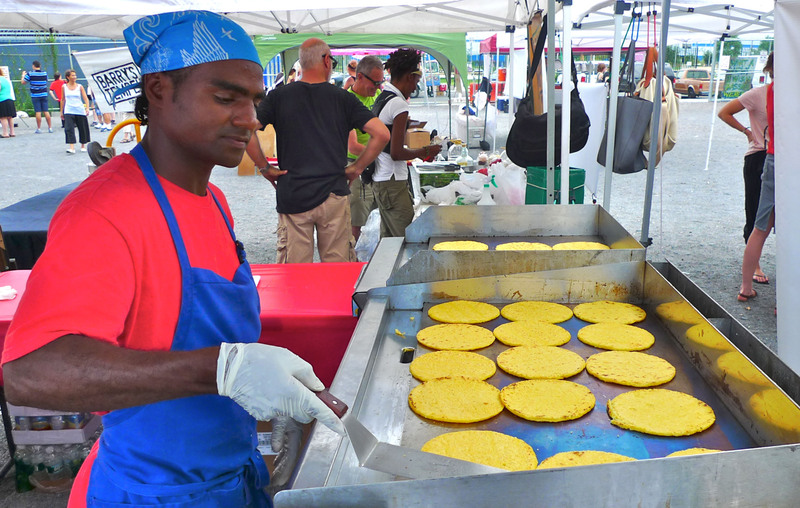 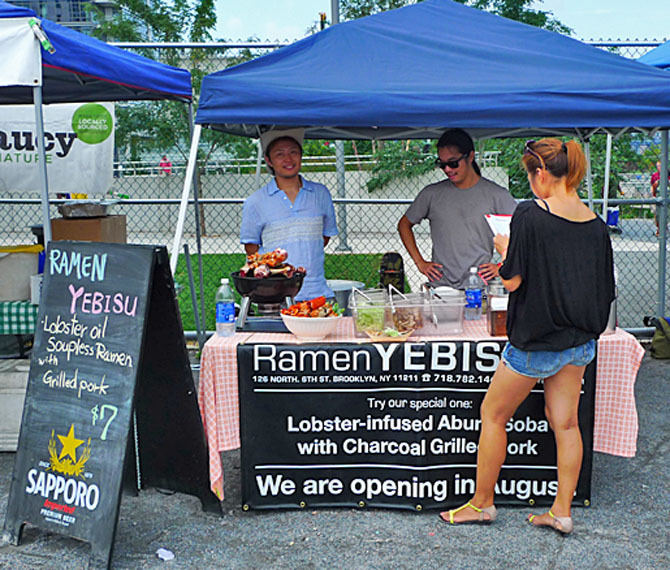 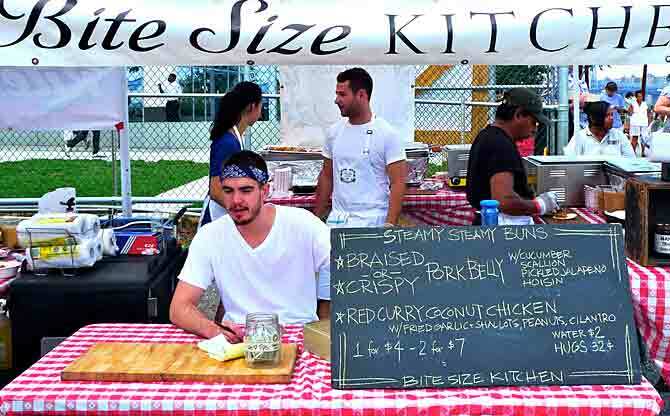 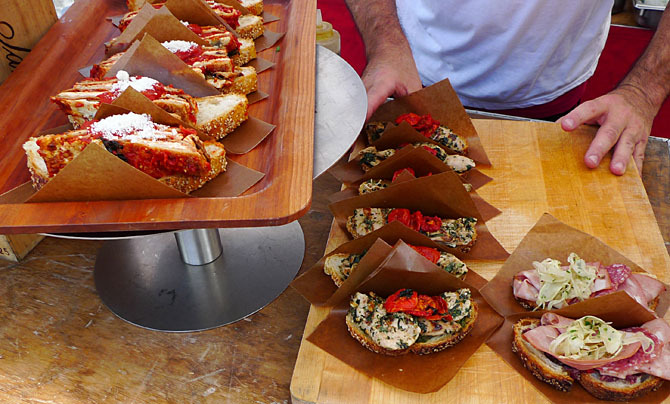 For a cheap excursion into imagination and ambition of Brooklyn’s foodie entrepreneurs, try Smorgasburg, a weekly riverfront market in the borough’s Williamsburg neighborhood, set to resume in April. 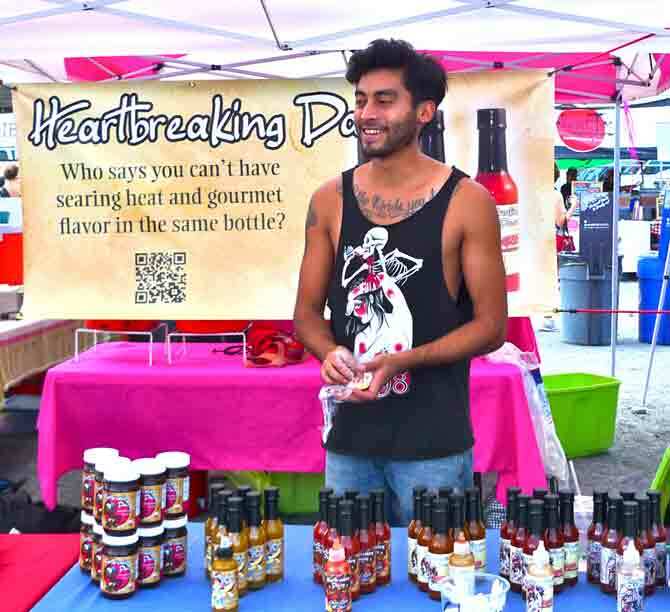 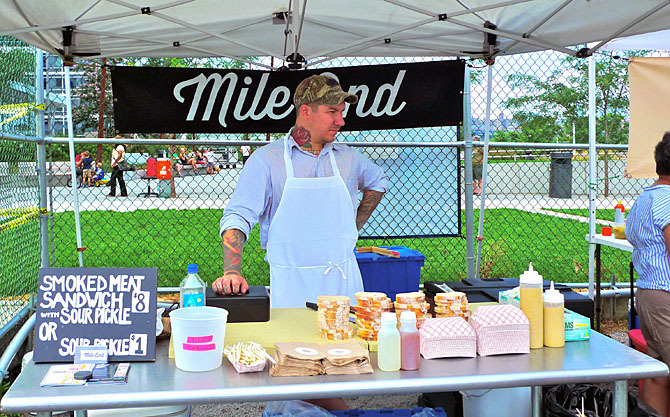 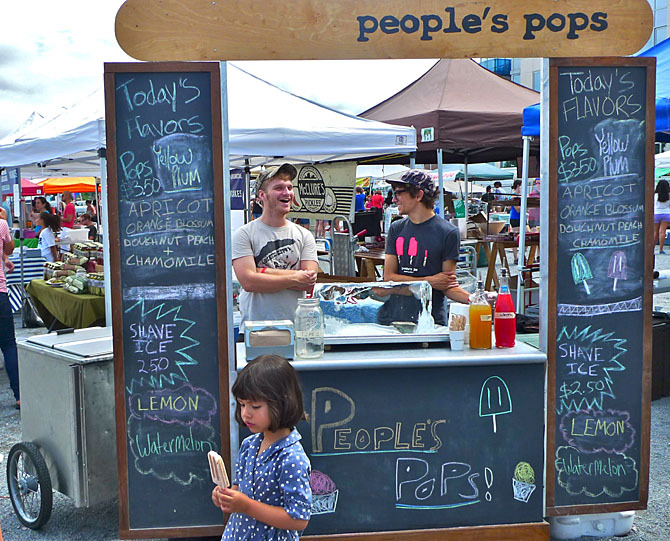 Many of the vendors — almost 100 are listed by the organizers — seem poised to launch themselves into citywide if not nationwide distribution, equipped as they are with professionally tweaked brands, graphic design and websites as well as distinctive recipes. 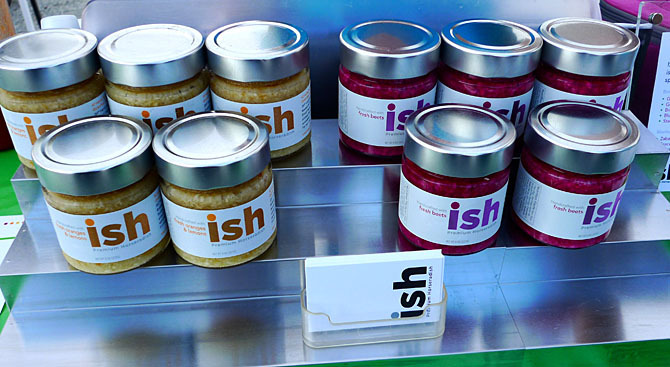 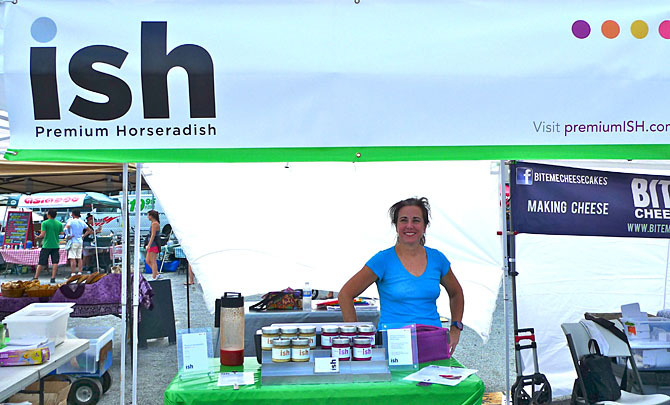 Ish Premium Horseradish, based on a family recipe, debuted with beet and citrus versions and has since added garlic and ginger. 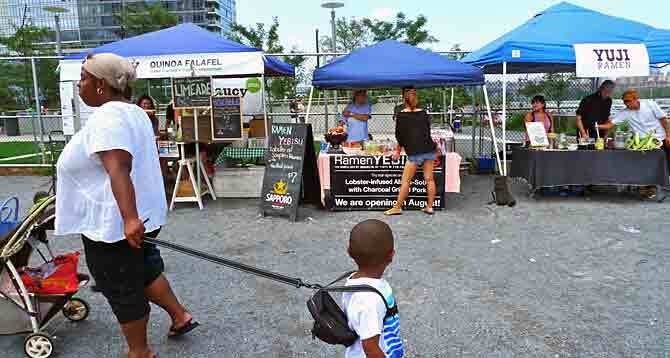 In the warmer months, the market opens 11 to 6 Saturdays at the Williamsburg landing of the ferry from Manhattan. 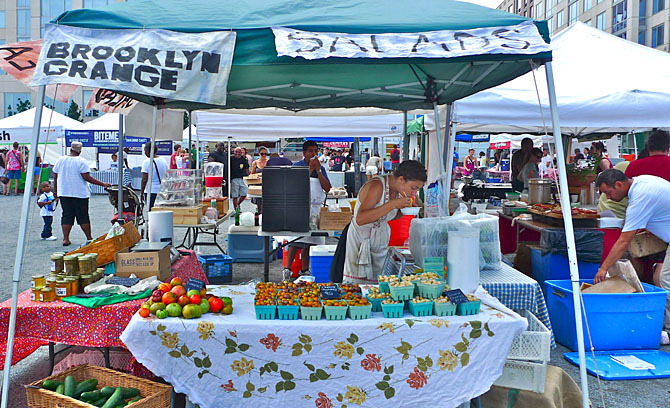 That’s where North 6th Street meets the East River. 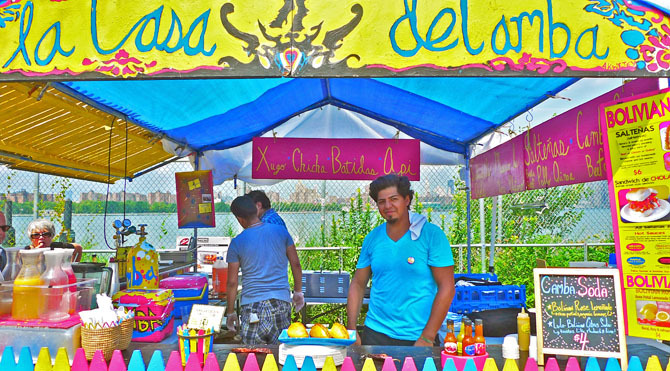 The East River Ferries leave from East 34th Street in Manhattan and other points. 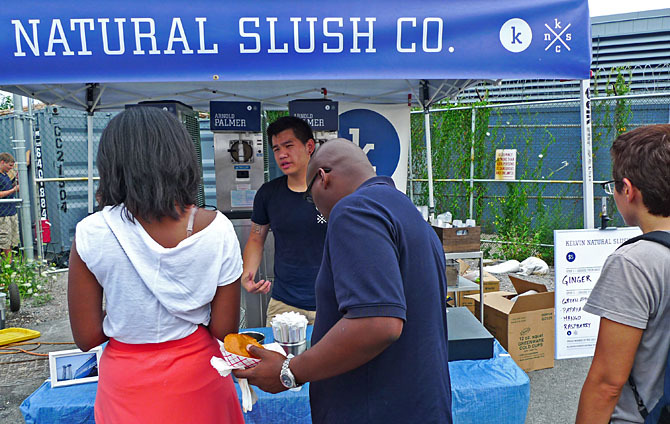 On weekdays, Kelvin Natural Slush Co. sells from a truck around the city. 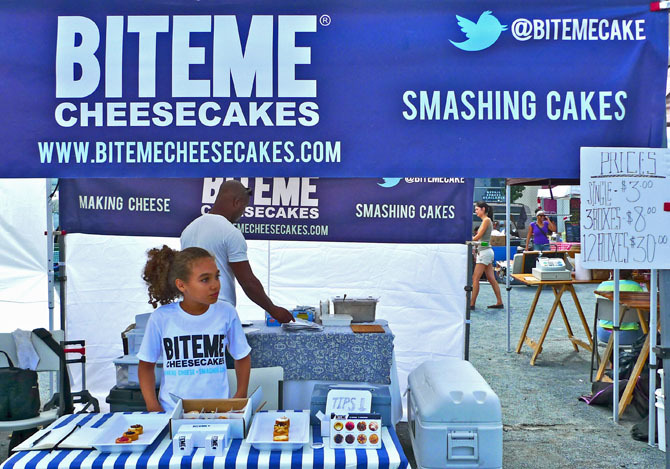 Check them on Twitter. 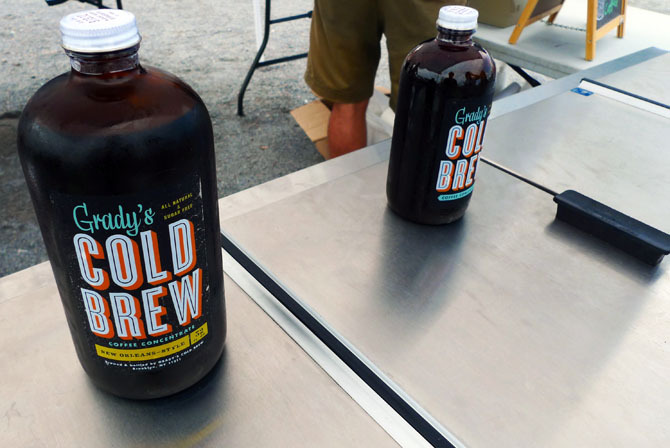 For iced coffee, just add water to Grady’s concentrate. 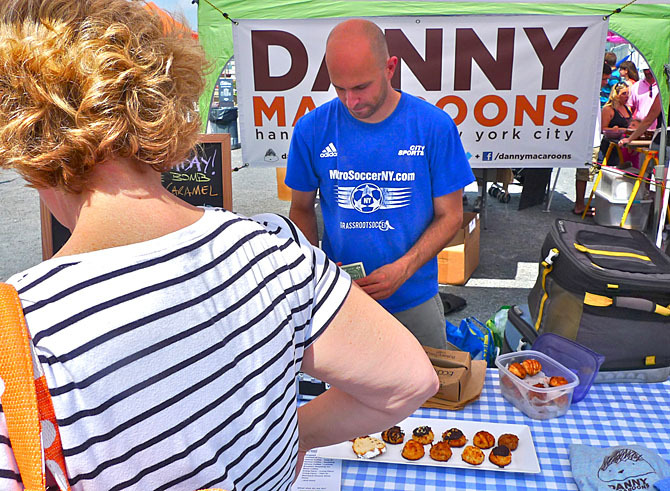 As a carnivore with fruitarian leanings, I went for a great chicken sandwich with apple slices and cranberries, below.